Well today was the closing on my new apartment. My dad didn't come. All went smoothly. Mark and Libby came over early and did my home blessing with me. Prayers, saging and holy water. 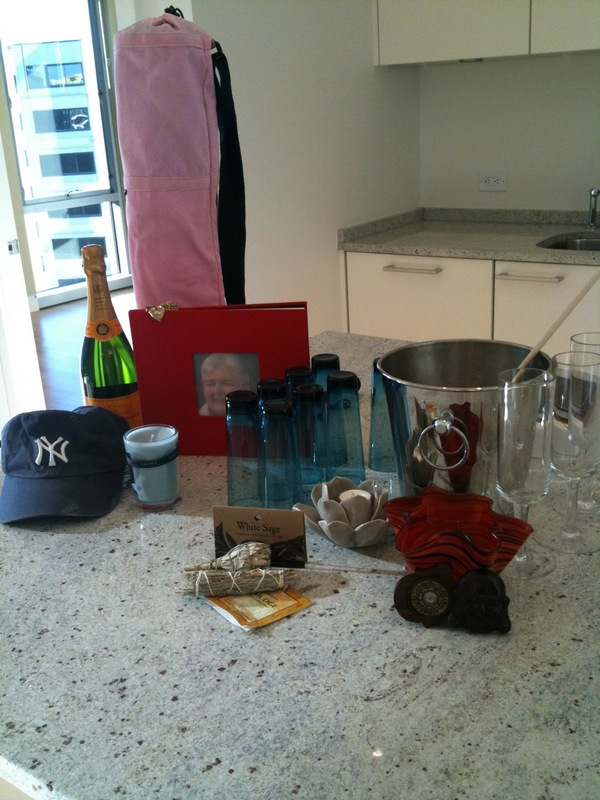 Yoga mat, champagne, yankees cap, candles - one lavender scented and one in lotus dish, sage, compass, red bowl (for prosperity), Amercian flag and an album of photographs of my mom. Later, Lorenzo and Adam came, and Ali S. and Gabriel. We sat on the empty floor and drank champagne. Thanks guys!